The Pacsafe Transit Women's Jacket is designed for long day wear and keeps items safe with RFIDsafe™ blocking pockets and material. The jacket is made with antibacterial Polygiene® treated fabric technology. So wear it more and wash less, saving time for the things that matter. It features strategically placed pockets to hold your passport, boarding passes, wallet, phone, ipad, glasses, and more. 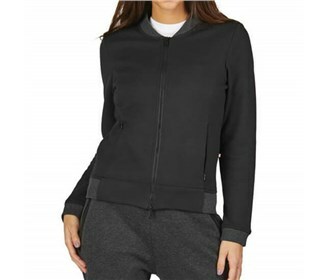 The Pacsafe Transit Womens XS Jacket - Black has many exciting features for users of all types. See the Pacsafe Transit Womens XS Jacket - Black gallery images above for more product views. The Pacsafe Transit Womens XS Jacket - Black is sold as a Brand New Unopened Item.